Teaching a dog how to "stay" requires knowledge about how dogs learn. All dogs can learn the cue, but some may require more time than others. There are also certain training mistakes that must be avoided to prevent frustrating setbacks when trying to achieve your training goals with your dog. The "stay" or "wait" command is a positional cue and requires your dog to assume a specific position and maintain it until released. There are, therefore, different positions that can be assumed: the "sit-stay," the "down-stay," and the "stand-stay." In the exercise, a dog is asked to hold the position for a determined amount of time; it can be seconds to several minutes. 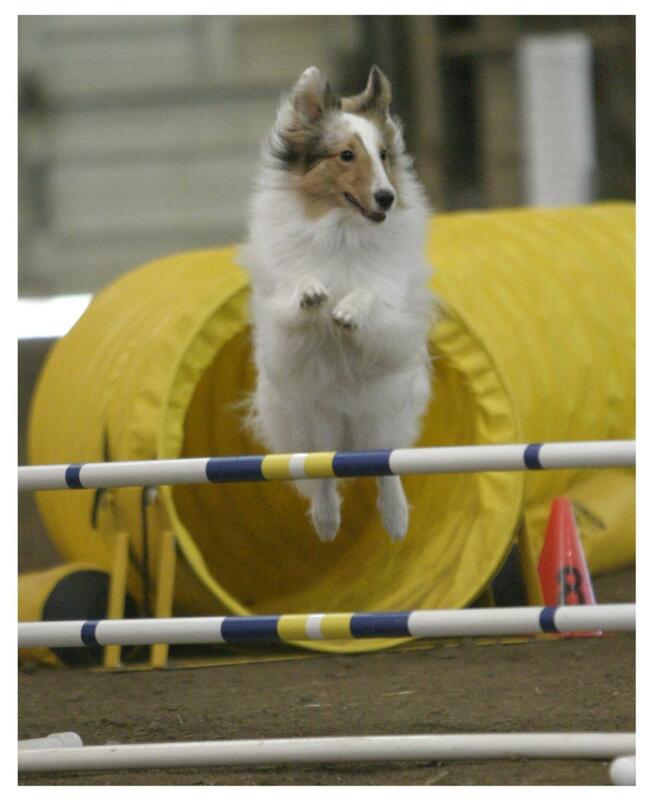 It is important to use a release word to inform your dog that the exercise is over and he is free to move about. Here are some guidelines on how to train your dog to have a rock solid "stay." Commonly used release words in dog training include "done," "free," "release," and the infamous "okay." The "okay" is often frowned upon by many trainers because it pops up in everyday conversation quite frequently. A dog can be released unintentionally, so pick a good release word and make sure you stick to it at all times and that all family members are onboard. If you don't have a release word, your dog will likely stay for a brief time and then feel that he is free to get up when he wants. This happens when a dog doesn't realize that he must maintain position until he is released. In some cases, you can use another cue that supersedes the release cue, such as asking a dog to "stay" and releasing the dog by saying "come!" This works well for sequences of dog behaviors. Ask your dog to "sit" or "lie down" next to you. Next, step in front of your dog and say "stay" with your hand open. 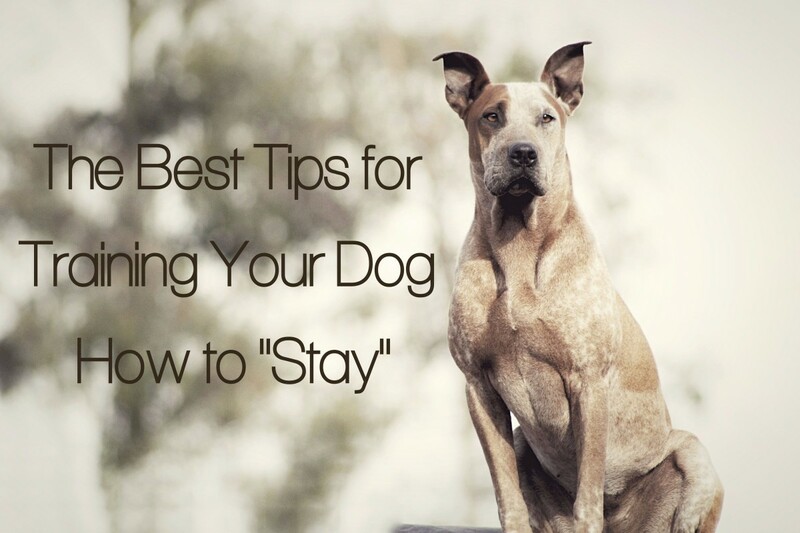 Initially, you will only ask for a "stay" of a second or two to help your dog succeed. At first, it's acceptable to repeat the cue more than once if it helps your dog maintain position. I know there's a saying to never repeat cues in dog training, but in this case, I think it's okay as long as these extra cues are faded as soon as possible once the training is polished up. If you find yourself repeating "stay" for too long to prevent your dog from breaking, take note. Perhaps you developed the habit of repeating the cue, or your dog might not be ready for that level of proficiency. 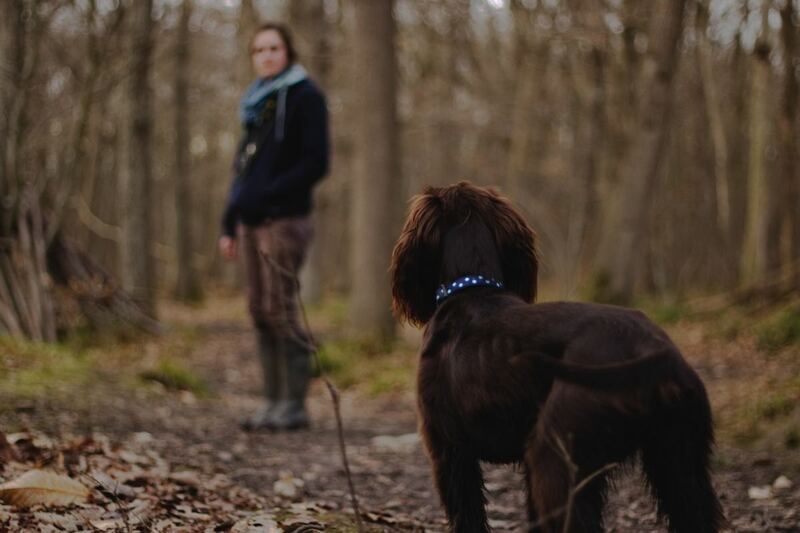 Take a few steps back in your training to help you and your dog succeed. Reinforce with high value reinforcers during the stay. When you click and release, treat with a lower value reinforcer. You want your dog to look forward to the stay, not the release. The topic of reinforcing the staying behavior warrants some clarification. There is a bit of conflict on whether it's good practice to give food while the dog is maintaining position versus giving food once the dog has been released. If we are giving food while the dog is maintaining the position, we are emphasizing that staying in position is a good thing. We are, therefore, using classical conditioning since the dog is pairing the staying position with food. In other words, your dog is learning that it feels good to maintain position. When we provide the food once the dog is released, we are adding a consequence to the behavior. The dog is rewarded for having maintained position. We are, therefore, using operant conditioning—the dog pairs the action of holding the cue with the reward. In other words, your dog is learning that it feels good to be released. I have used both methods and have found that the first method causes the dog to look up at the trainer frequently for a treat. It's as if the dog is saying, "Hey, look, I am staying, where's my treat?" In the second version, the dog is looking up at the trainer in hopes of being released. It's as if the dog is saying, "Hey, look, I have been holding this position for some time, are you going to release me soon?" Both methods have their benefits. The first method rewards the dog for maintaining the position, and the second rewards the dog for having kept it. Why not use the best of both worlds? I have found this technique to be useful in service dog training. I teach dogs to hold position under a table while their owner eats at a restaurant. My rotties waiting for their release cue. 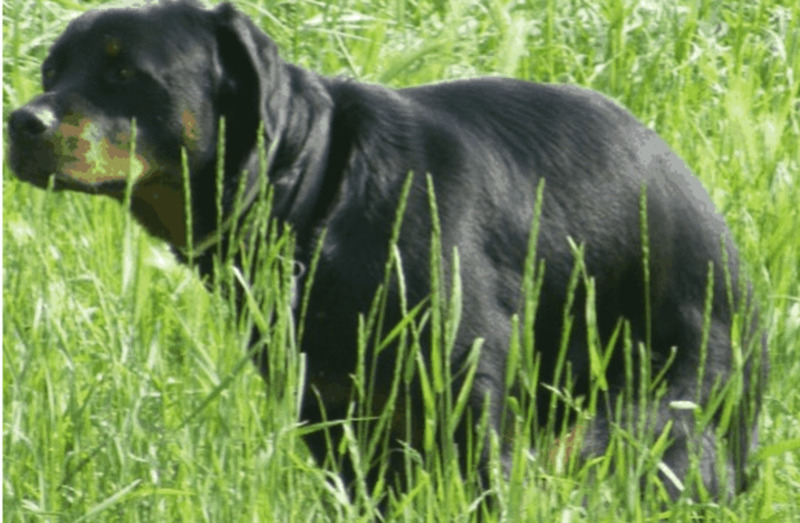 While minimizing the number of errors a dog makes is important in dog training, it's also important for the dog to learn that there are consequences for moving before being released. These consequences may vary based on the trainer's methods. As tempting as it may feel for some dog owners to scold the dog, grab him by the collar, and forcefully push him back into position, these actions are not recommended. These techniques are based on intimidation and can create a fearful dog. Yes, your dog may seem to learn to hold the "stay," but he may just be freezing in fear as a result of learned helplessness. You want your dog to be collaborative and chose to maintain a "stay" because it's wonderful and fun. In other words, you want your dog to be willing to participant in the training. A better choice may be to use a no-reward marker such as "ah-ah" or "ooops" and request the behavior again and reward your dog lavishly for performing the correct behavior a second time. This is not the ideal choice, however, because you risk turning the no-reward marker into a punishment. 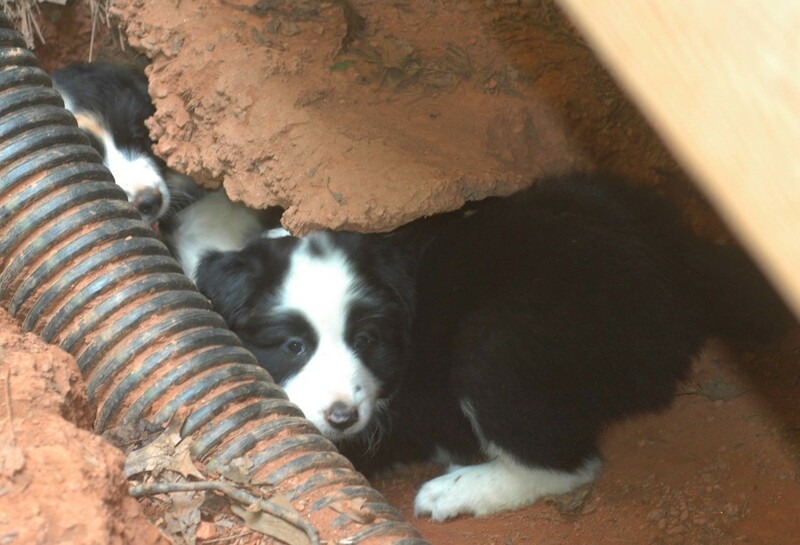 It might sound odd, but a negative marker may lead dogs to stay glued to the ground even when released. This often happens when a trainer uses a no-reward marker and the dog perceives it as harsh (or very harsh for the sensitive ones), which is why many trainers discourage it. It's almost as if such dogs are saying, "Am I okay to go? Are you suuuure? Last time I got up you made a sound of disapproval that startled me quite a bit." I have personally experienced the issue first-hand with some of my clients who were heavily relying on no-reward markers and used them in an intimidating tone. I noticed that their abrupt "eh-eh" resulted in dogs who were confused rather than actively learning. The "eh-eh" felt like punishment, and dogs that were then released were uncertain if they were truly free to move about. It may help to tone down the no-reward marker if it's being used (or to stop using it all together) and let the dog understand that he is truly free to go. If you don't, your dog won't know what your release word really means. If you say "release" or "free," or whatever your release word is, make sure your dog gets up even if this initially means tossing a treat on the ground to get him to move. Trainers with good timing may be able to use verbal or gentle leash prompts as reminders (not to be confused with negative markers or leash jerks) to prevent excitable dogs from breaking the "stay" and thus creating an opportunity for reinforcement. 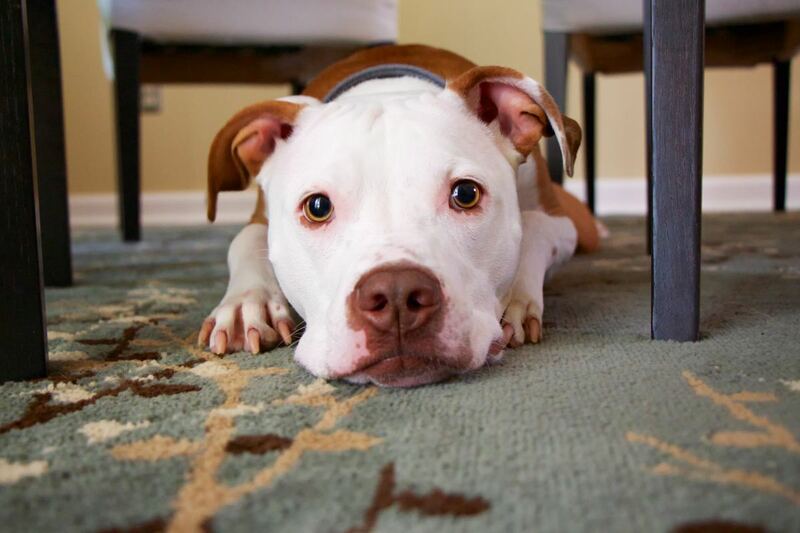 For dogs breaking a "stay," make sure you're not harsh, and remember that it's not up to you to determine if you're being harsh—it's ultimately up to your dog! 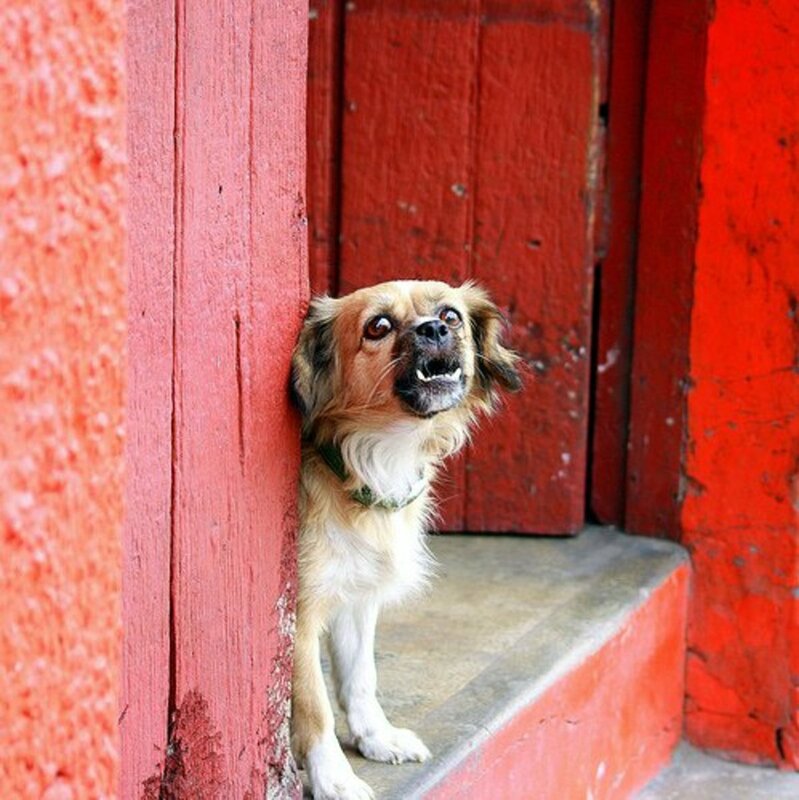 Some sensitive dogs can feel your frustration even if you're not raising your voice. Just the way you move may be enough for dogs to perceive you as intimidating. If you are getting frustrated, take a break and evaluate whether your dog is breaking the cue too often because he's not ready for training at that level of proficiency. To play it safe, the best consequence for breaking a cue is to bring the dog to the original spot in a calm, neutral manner, and repeat the exercise, making sure to make it easier. Some dog trainers find the word "stay" to be useless as they have taught "sit" and "down" with a built-in "stay." Using the cue word "stay" or "wait," or not, is a matter of personal choice. In order to successfully train your dog, it's important for him to learn to perform the desired behavior despite distance, duration, and distractions. In training circles, these are called the 3 D's of dog training. Distance, duration, and distractions should be added into training one-by-one and then put together. Duration: Duration is generally the first element taught. The dog must learn to stay in the desired position for longer and longer periods of time. 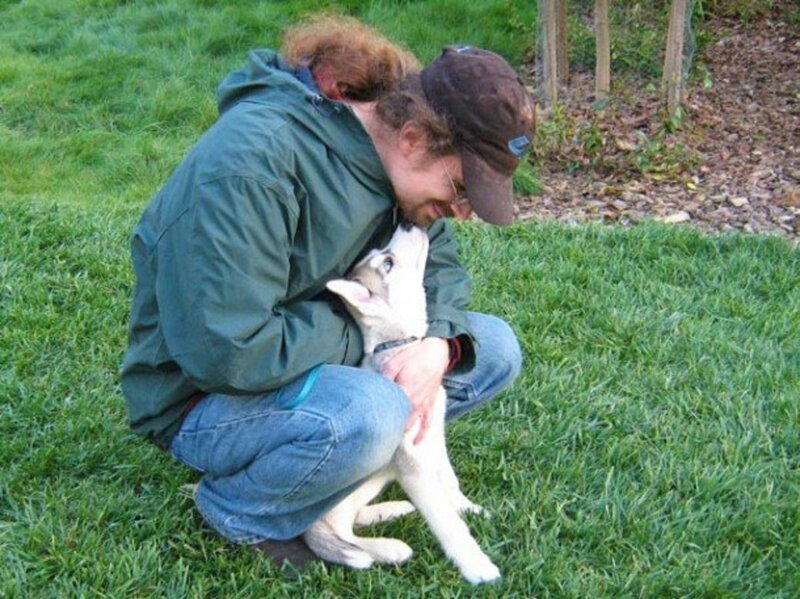 Putting a dog in a "stay" is mildly aversive (most dogs do not like to stay still), and it's important to provide reinforcers (rewards) at least initially, even though being released is already a reinforcer on its own. As you build duration, it's best to add an element of surprise. Ask your dog to "stay" for 3 seconds, then 8, then 5, then 2, etc.. This way, your dog will not be able to anticipate the added challenge to the exercise which could trigger the onset of displacement behaviors. Distance: Once a dog is able to hold a "stay" for at least 30 seconds, distance can be added. Initially, you would walk just a step or two away and gradually build distance to the length of the leash, the end of a long line, and finally off leash at greater distances. As with duration, mix in closer stays as to not make the exercises too challenging. It's also a good idea to incorporate different directions. While the dog is in a stay, take off walking in different directions—to the left, to the right, in front of the dog, behind the dog, or walking around the dog. Distractions: Distractions can be added, and these are often the most challenging for dogs who aren't used to controlling their impulses. In my video below, I was working with a dog fresh from the shelter who, over the course of 3 weeks with me, needed to learn important basics to pass her Canine Good Citizen test and continue her education as a potential service dog. The more you practice with distractions, the more rock solid your dog's "stay" will become. Once you have added distance, duration, and distractions, you're not done yet. You can then start adding all of these together, but it's best to start each element one-by-one. As part of my final exam for graduating from training school, my dog had to be able to hold a "stay" for an entire 5 minutes while I was away and completely out of sight (there were five other dogs around her). We passed with flying colors thanks to all of the exercises mentioned above. At some point, you want to start thinning the reinforcement schedule. Rather than feeding your dog treats after every success (continuous schedule), give treats only every now and then (variable schedule). Now, this doesn't mean that you will no longer provide feedback/reinforcement for a job well done, but you will replace treats with pats, praise, or life rewards (letting your dog perform/access something he likes to do naturally). 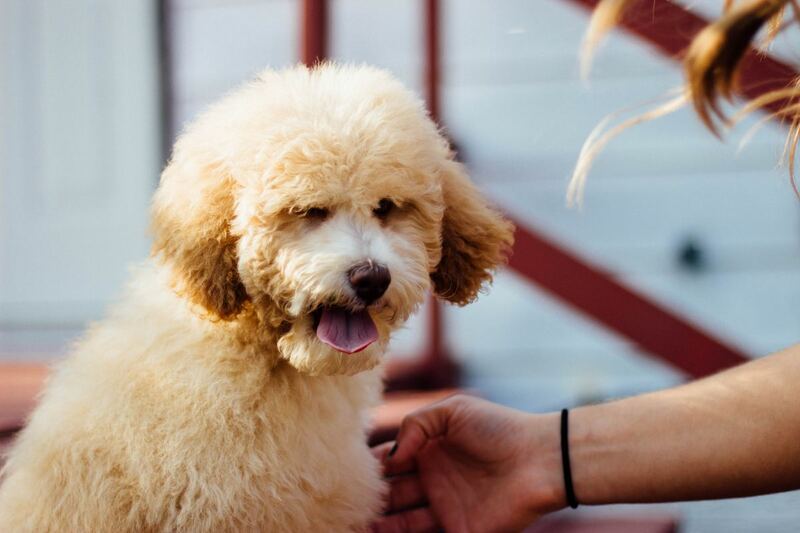 For example, if your dog loves to go out to the yard, put him in a "sit-stay" or "down-stay," open the door, and then release him to have fun in the yard. 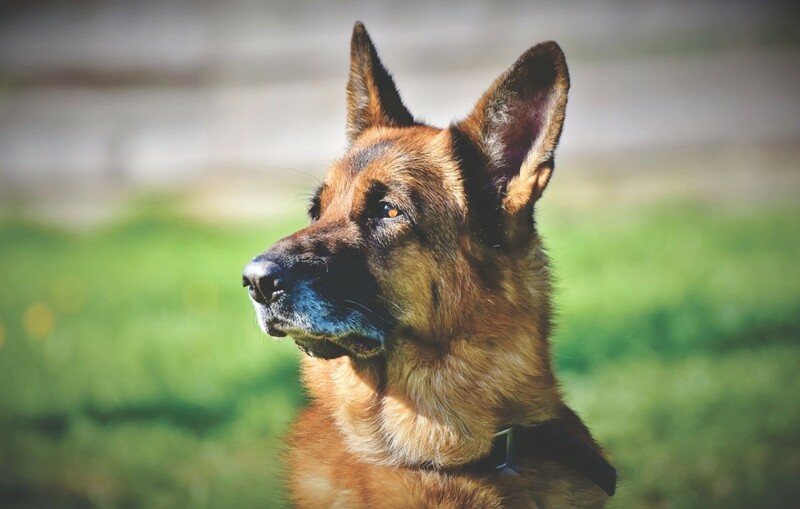 When you are adding certain challenges, it's often necessary to temporarily revert to a continuous schedule until your dog obtains fluency in that specific setting. You can then go back to a variable schedule once he has a cue down. 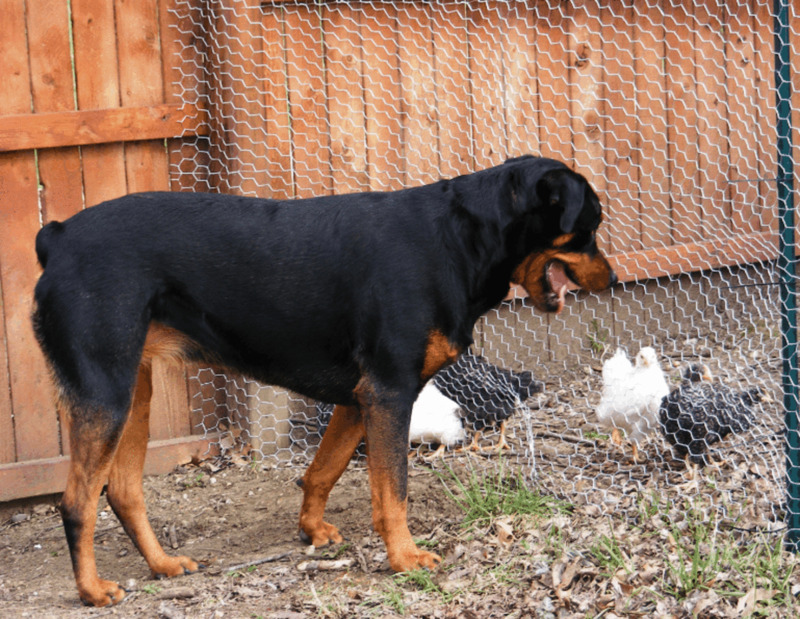 There are several steps to training a rock solid "stay," but practice makes perfect. Some dogs may take a little longer, but all dogs eventually get it once you rehearse the exercise many times. Remember to add the 3D's of dog training to your method and make it a fun and rewarding experience. I hear you Linda. 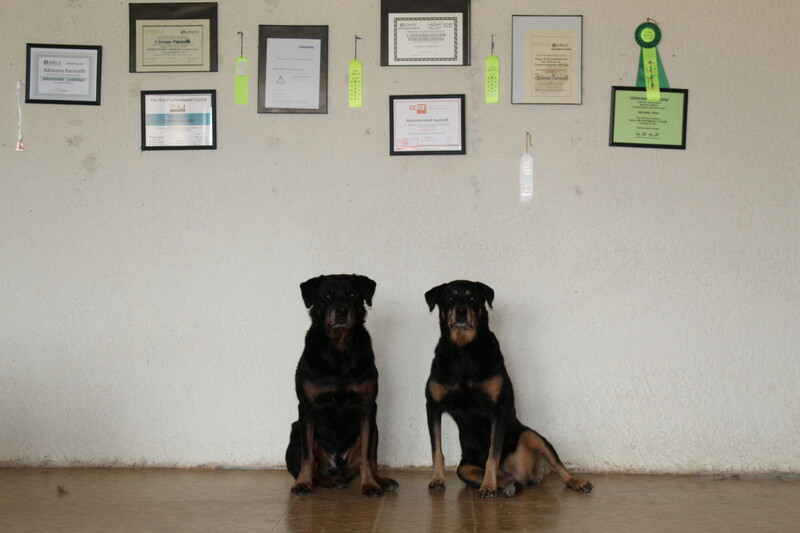 It is difficult for many dog trainers to be thorough, especially in group classes when so much needs to be covered once a week for often less than an hour each class. Reminds me of doctor visits, where MDs briefly explain stuff during visits and then, patients have to look up stuff online to get the details. This is a great article, Adrienne. I learned some of what you've described when I took my dog to puppy training classes, but the classes covered nowhere near as much detail as you do. Thanks for sharing all the tips.